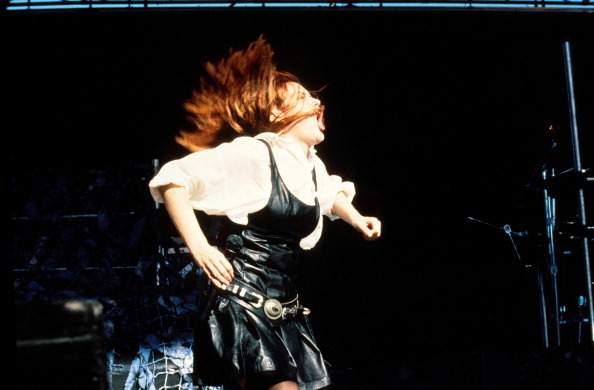 Chrissy Amphlett of the Divinyls performs on the Australian Made tour on New Years Day1987. Image owned by Getty Images. I have one memory of Australia day from childhood, I assume it is an amalgam of several different Australia days from the early 1980s. The day is scorching. I am at a gathering with my extended family. It is the middle of the day, people are drinking beer and meat is being cooked on a barbecue. Cricket is on the television and people are clustered around it watching Australia who are losing badly and someone comments “At least you’d think they could win on bloody Australia Day” and it is all downhill from there. The fact that we were celebrating the beginning of the colony and therefore the beginning of the land genocide of the indigenous population never occurred to us for a moment. 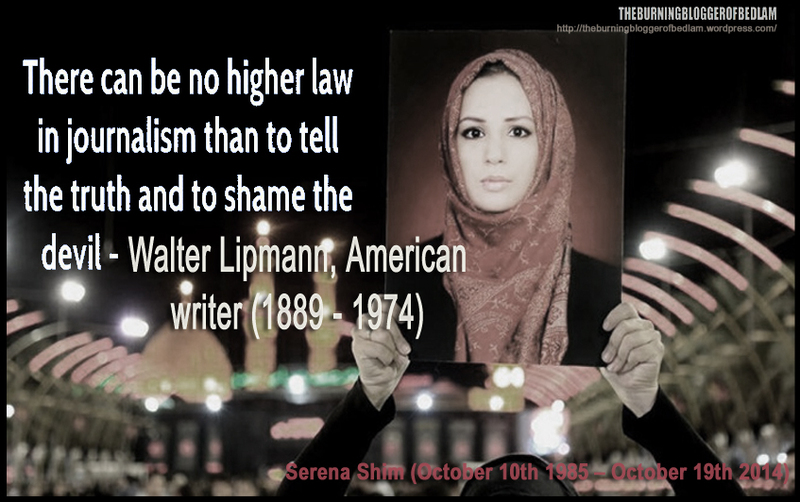 The reason for this was ignorance and complacency. Sadly many Australians still live in that world of ignorance and complacency but far fewer than at that time as attested by the large demonstrations yesterday against the national holiday being on the date of the beginning of the colony. Scene from one of the “Invasion Day” protests on January 26th, 2017. The date of the national holiday has little practical importance but it becomes insulting when people become indignant and upset when indigenous Australians refer to the date as “Invasion Day” missing the fact that the choice of this date makes it impossible for indigenous Australians to view it as a day for celebration. The British, it should be remembered, classified Australia as terra nullius (nobody’s land) pretending the indigenous people did not exist, thus saving themselves the trouble and expense of negotiating with them and enabling the wholesale theft of the continent at almost no cost.A musket here, a blanket there. It is sadly typical act of arrogance to expect indigenous Australians to celebrate the anniversary of the beginning of the land genocide that began in 1788. The intent of the entire national day project (unity and celebration) is thus defeated, and will always be defeated while the date is January 26th. In some major cities more people are protesting the date than celebrating it already. Given that the nation was born on the New Year and the nation has tried to have a more constructive and inclusive relationship with the indigenous population who were simply treated as non-entities by the British, New Years Day would be a better choice for the national day of celebration . People Should Simply Ignore the Government and Start Celebrating Australia Day on New Years Day or another. The Government has the ability to make January 26th a public holiday and stage their tiresome and corny ceremonies but they do not have the power to make anyone participate in or pay attention to any of it. Nor do they have the ability to prevent anyone celebrating Australia Day on a different date. It seems like a good idea to me to begin to stage Australia Day on another date and this will provide a positive outlet to celebrate Australia that would provide a nice compliment to the entirely negative (with good reason) Invasion Day movement. The logical choice, with the built-in advantage that it is already a public holiday and the day the nation actually came into being would be New Years Day. Growing up most of the big Australian heroes were sports players. We were told that the batting of Don Bradman and the winning runs of Phar Lap, the champion racehorse of the day, “kept people going” during the depression of the early 1930’s. The whole line is infantile nonsense in retrospect but that has been the standard in Australia. Recently a video was posted on the internet showing Ukrainians in Kiev staging a march celebrating the life of the Nazi collaborator Stepan Bandera. I cruelly commented “Who or what else do they have to celebrate?”Yet if we cast aside our sporting heroes, whose achievements are made in an entirely insignificant field, the same question could easily be asked of Australia. There are many practical things of course,there is so much we take for granted having never known any different. In terms of culture it becomes more difficult. Between the mid 1970s and late 1980s Australian music, pop music seemed to go through a real heyday with a lot of great music being created in a short time and although several of the bands that were part of that broad wave, such as Midnight Oil, INXS, the Divinyls and Icehouse rose to international prominence, many of them were well past their best by the time it happened meaning that much of their best work remains neglected. Here is a small sample of some personal favorites from this era and earlier with some brief explanatory notes where appropriate. The Easybeats were one of the greatest bands of the 1960s,and are rightfully celebrated as the first great Australian band. Their greatness is undisputed however the Australian part of the story is cloudy. The Easybeats were a British style band composed almost entirely of Brits who formed in a Sydney migrant hostel that still operates, today the site hosts a prison for people who are awaiting deportation named the Villawood Detention Centre. They were not just British they were just off the boat. So, they were not Australian but they were a truly great band based in Australia, their brilliance must have helped other local musicians, they set a great example. Friday On My Mind is far and away their best known tune but they had numerous classics. Friday On My Mind is a brilliant song but it is very British and very white, Good Times is a little funkier, less Beatles more Stones, this song was a massive hit decades later when covered by INXS. Eagle Rock by Daddy Cool. This song has been so overplayed that it has become easy for Australians to despise it, a fresh listen reveals Eagle Rock is a classic piece of pop blues reminiscent of a boppier Creedence Clearwater Revival, released in 1971 it was still a chart topper as late as 1990 when it hit number one in New Zealand. AC/DC were drawn from the same group of British immigrants who formed the Easybeats. The guitarists Malcolm and Angus Young were the brothers of Easybeat George, who assumed production duties with AC/DC. All of the important members were Brits, even those who came from outside the core coterie and after Bon Scott died in 1980 they became a completely British band. Few guitarists have matched the heavy catchy riffs of Malcolm and Angus Young. I must admit that having been a big drinking band for me, I have never loved the as much since I stopped. This is a classic typical AC/DC track with a simply brilliant video of them driving through Melbourne on the back of a flatbed truck. When Bon Scott was alive they were one of the greatest ever hard rock acts, they were pretty mediocre after his death except for Back in Black, the first post Bon Scott album. Cold Chisel came from Adelaide, Australia’s fourth largest city and not a noted cultural centre. Cold Chisel oved from Adelaide to Melbourne and then Sydney, where they finally found success. The band never achieved great international success and this was a loss to the rest of the world. They were a strangely literate bluesy hard rock band capable of brilliant straight pop songs such as “Forever Now” as well as pub rock classics such as “Cheap Wine”. Interpersonal relationships within the band were often troubled with drunken internal brawls a regular item on the menu and they never made the international impact they deserved, but the work stands up very well. Chrissie Amphlett at the Australian Made festival in early1987. In 2013 she died of natural causes. She was only 53. Icehouse were a vehicle for the classically trained Iva Davies.They had many great songs,my personal favorite is probably “Can’t Help Myself” but their most important song without a doubt is “Great Southern Land” one of the few truly great songs written about Australia. INXS started in the late 1970s as a run of the mill post punk type outfit. By the third album Shabooh Shabaah in 1982 they were writing some excellent songs such as Don’t Change and the One Thing and had created a semi-original sound, a strange hybrid of synth heavy pop rock. With their fourth album the Swing in 1984 the group improved immensely and created some of the best songs in the history of Oz Rock. Two albums later they became massive with the first three singles from 1987’s Kick making the top 3 in the US, after that they basically fell off but they made a string of classic singles right through the 1980s, this track from 1984’s the Swing is a high point. Midnight Oil are probably the greatest band Australia has produced, they were very idiosyncratic, they did not sound like any other band at all and they were the most ostentatiously Australian band of all yet still managed to achieve mass international success due to the quality of their work which speaks for itself. One of the reasons I really love Midnight Oil is the fact they were one of the very few people in Australia who made some attempt to understand and explain what is going on. Some of their lyrics are very interesting and thought-provoking, even to those who don’t share their political views, these passages from the 1983 classic “Power and the Passion” provide a great pocket glimpse into Australia then and now. “People, wasting away in paradise…..
It’s just enough to make you want to cry……. ← US: Post Election Coup Underway? Muster-less, when it comes to just about all ‘n any arts and culture… but agree, if it’s “who or what do we have to celebrate?” – better Oz Rock than another one-sided historical wind-up day. The need to push and cause trouble by moaning that for many, all about invasion. Govt. maneuvers purposeful intent on trouble, or hubris and bloody mindedness? Division is the way and it’s getting worse. Little or no genuine engaging arguments with media pump-up. Cartoon time. Always pleased to read ya… Encore. Many thanks for that Mark, you make some very interesting points there,”The need to push and cause trouble by moaning that for many, all about invasion.” I kind of suspect that almost all the “Invasion day” protestors who are not Aboriginal are cultural Marxists who have no interest in harmony, celebration or anything other than finding a new cause to whine about. However I believe that when they have a good point, do not let them own the issue, don’t let them have any good issues, and this, petty though it is, is a good issue because asking the victims of the colony to celebrate it’s anniversary is truly disgusting. Many thanks for commenting and apologies for delay, I genuinely did not think that piece would receive a comment, I haven’t signed into the account for days and just saw it because I was trying to write something new. Thanks again and sorry to be out of touch, hope that you are well. Great, fascinating stuff, James – and a pleasure to read. A lot of new music here for me to look up too, which is great. I just want to ask you where you stand on Silverchair? I get weird reactions from Australians about Silverchair – some people hate them and some love them almost religiously. I didn’t like their early stuff, but I think they grew into superb songwriters and musicians as they progressed. Many thanks for that Burning Blogger of Bedlam, regarding Silverchair I am in the complete loathing camp, they did improve but the early work was so generic and pitiful that later improvements do not begin to atone for atrocities like “Tomorrow” and “Pure Massacre”. I quite liked the much later track called “Straight Lines” but it was written by someone else. Many thanks for commenting. Ha! See, they’re like Marmite – love em or hate em. I hated Pure Massacre too – awful, cheesy teen-rock. But they did have some genuinely good tracks down the line, if you ever feel like checking them out. Thanks for this selection of artists though – I’ll be checking some of them out. Thanks Burning Blogger, I am sure that you are right, to me they are emblematic of a decline in Australian music and culture, ridiculous to describe Tomorrow and Pure Massacre as atrocities, bad as they were. Many thanks for commenting, sorry for being snooty, I tried to avoid making any negative comments about any artist in the piece but that band hit a raw nerve and blew the facade.